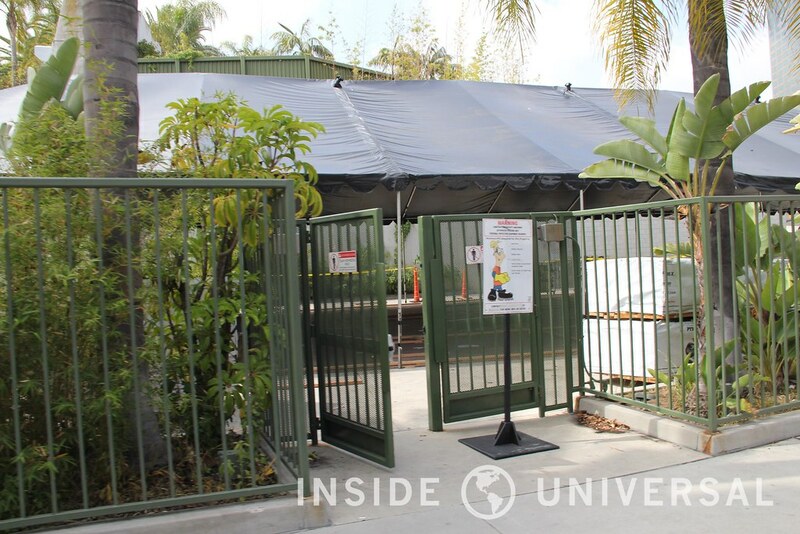 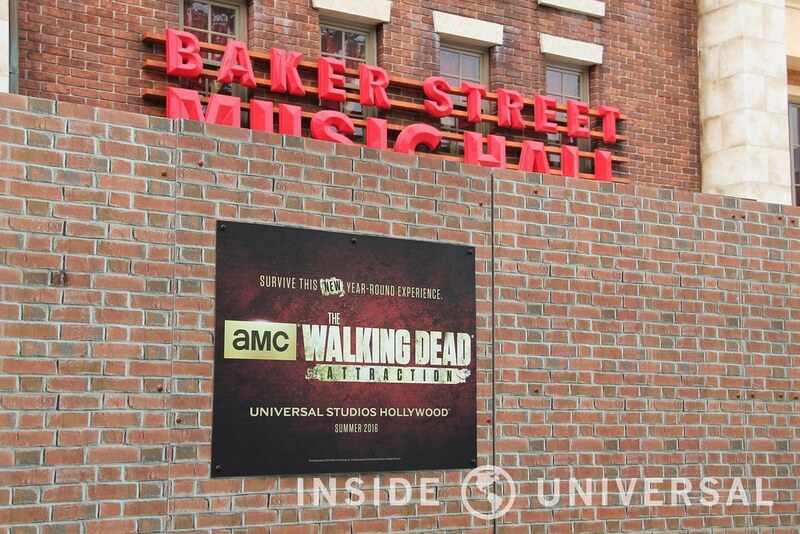 Photo Update: May 15, 2016 – Universal Studios Hollywood – Horror Nights, Soundstage 28, The Walking Dead & More! 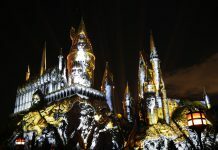 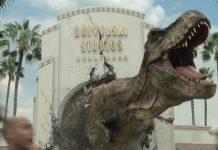 With only two weeks until Universal Studios Hollywood enters their peak season, the theme park continues its radical transformation into a world-class destination. 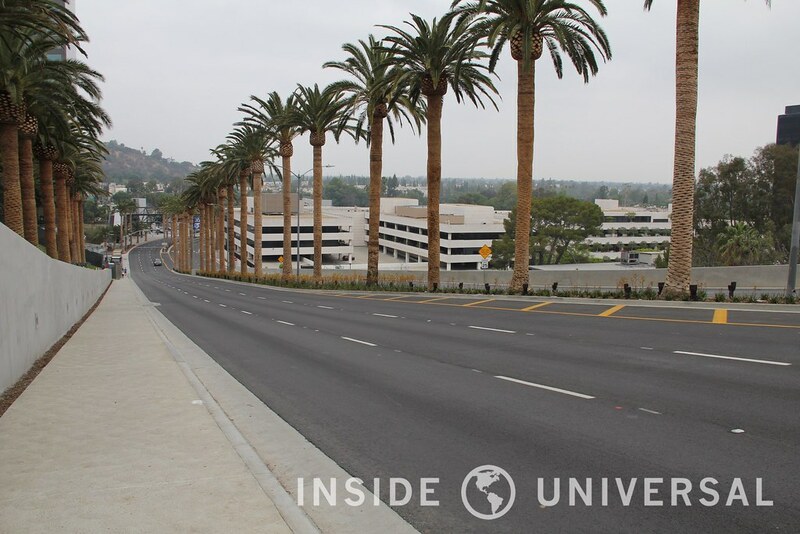 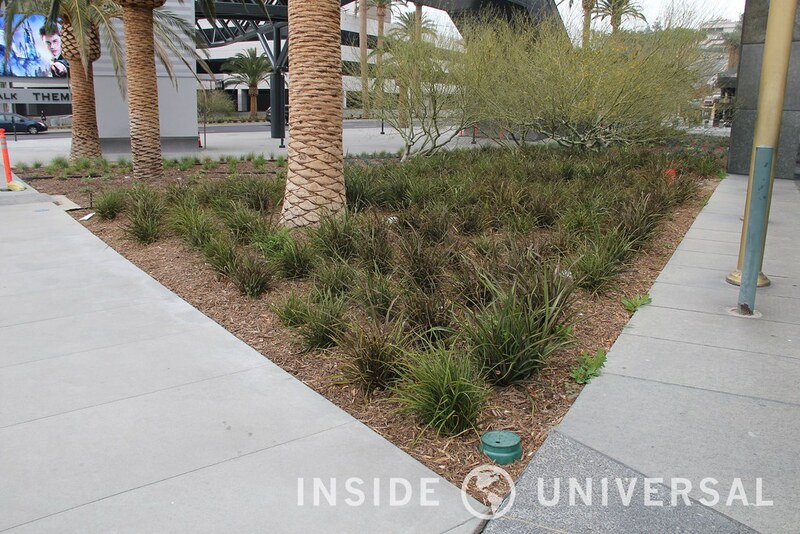 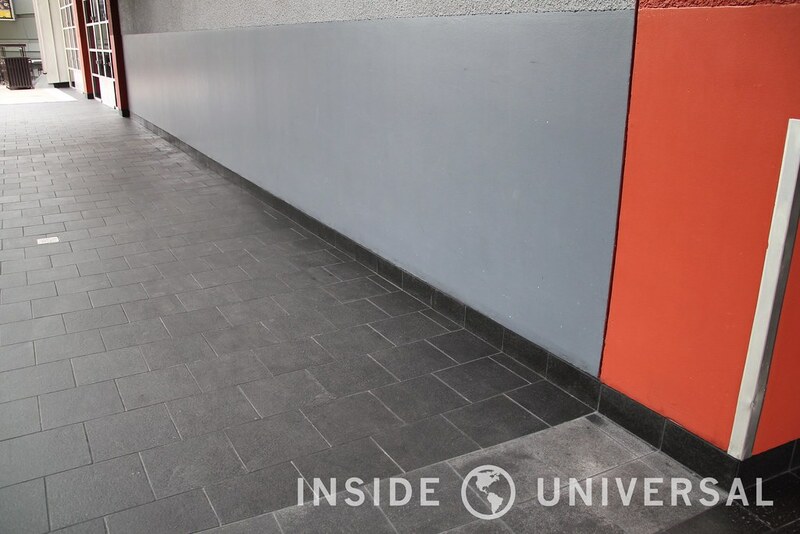 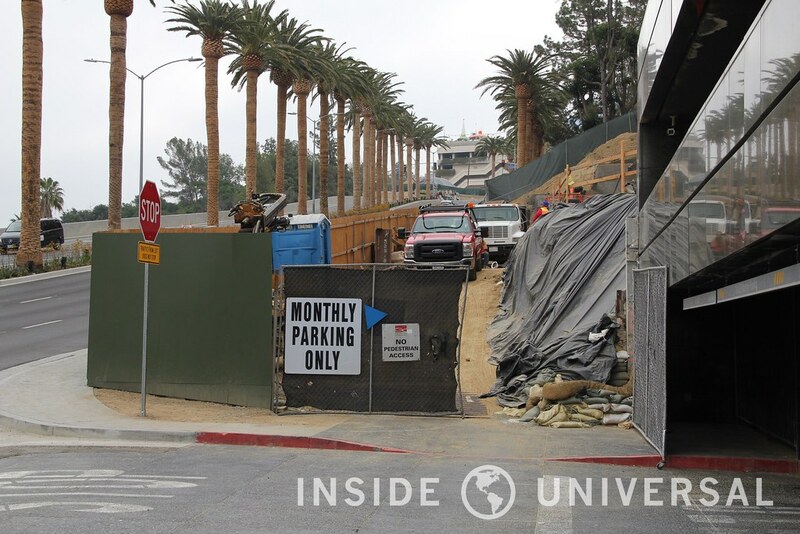 In this month’s photo update, we’ll be taking a look at Universal Hollywood Drive, and the continued revitalization of CityWalk’s entertainment district. 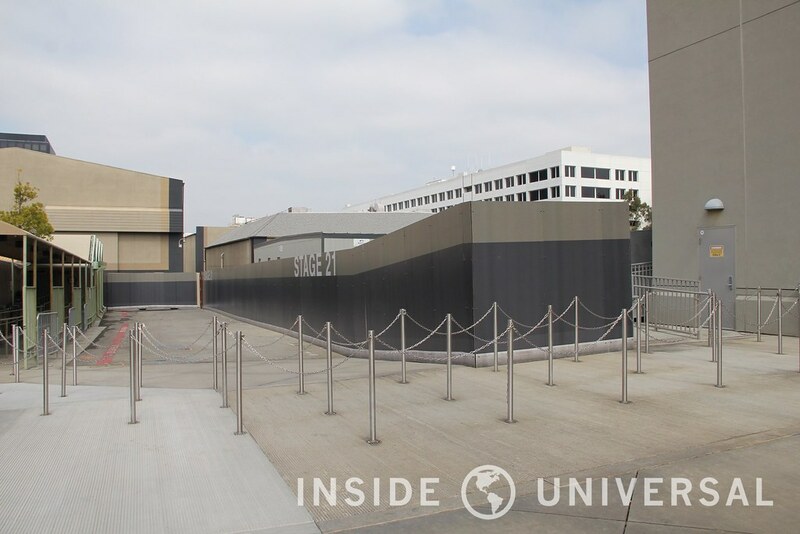 From there, we’ll begin our journey through the park and look at The Walking Dead Attraction, Soundstage 28 and the first signs of construction for this year’s Halloween Horror Nights event. 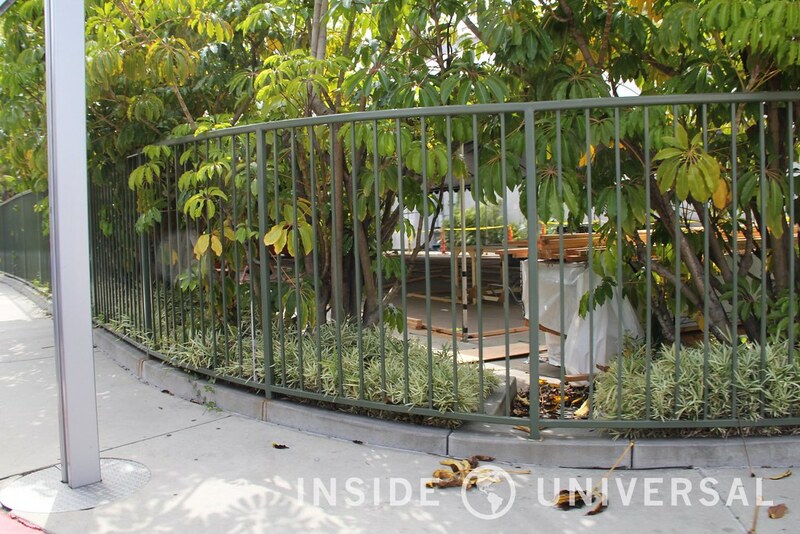 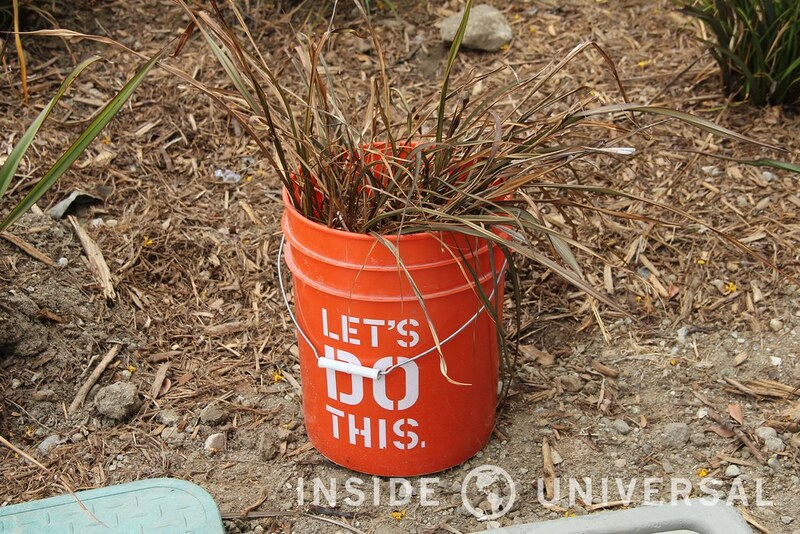 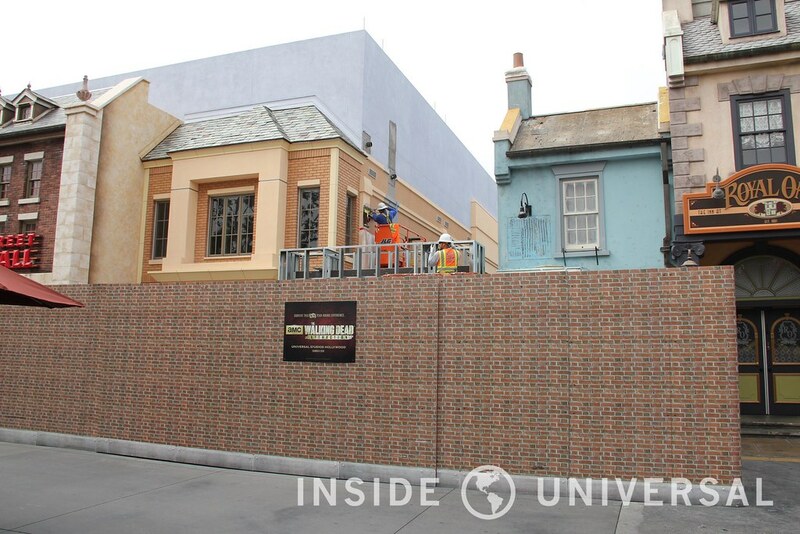 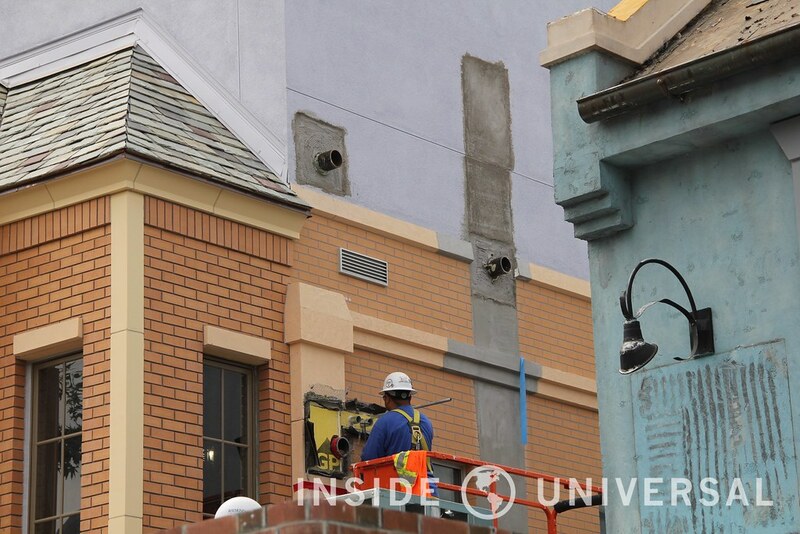 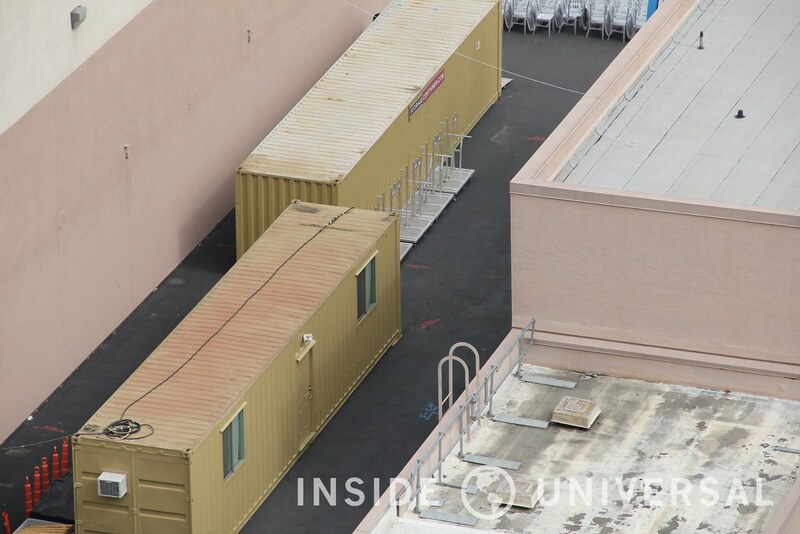 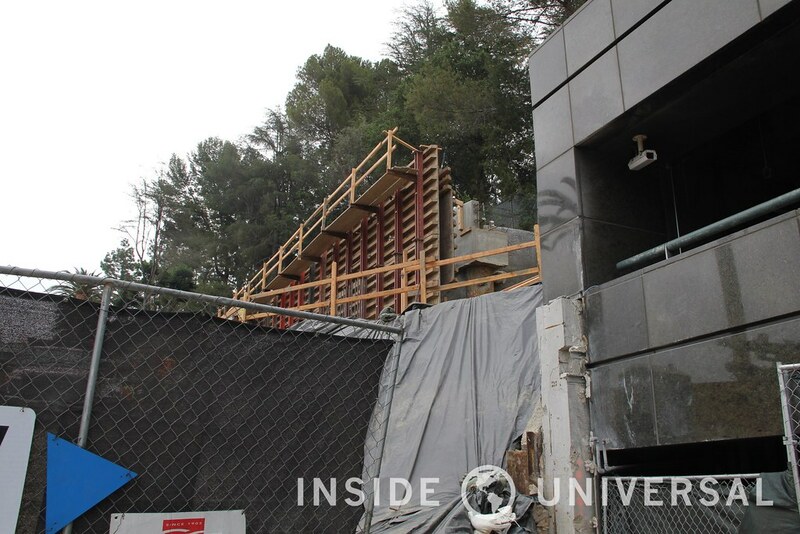 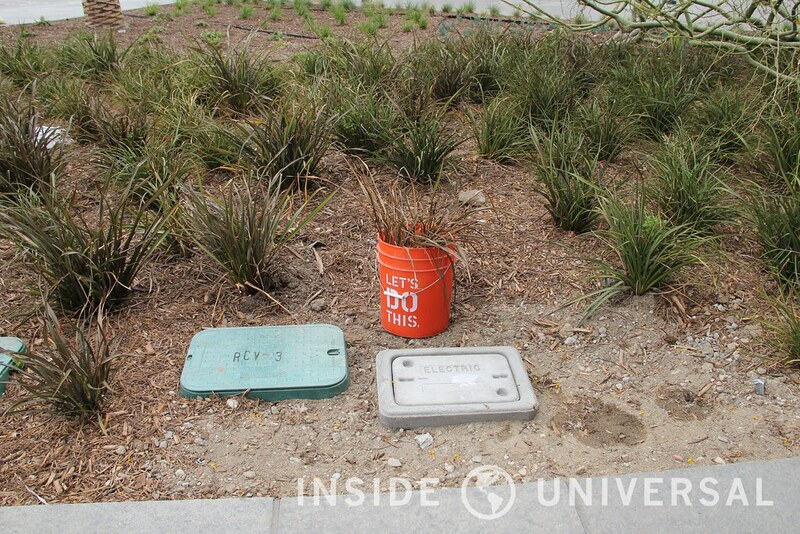 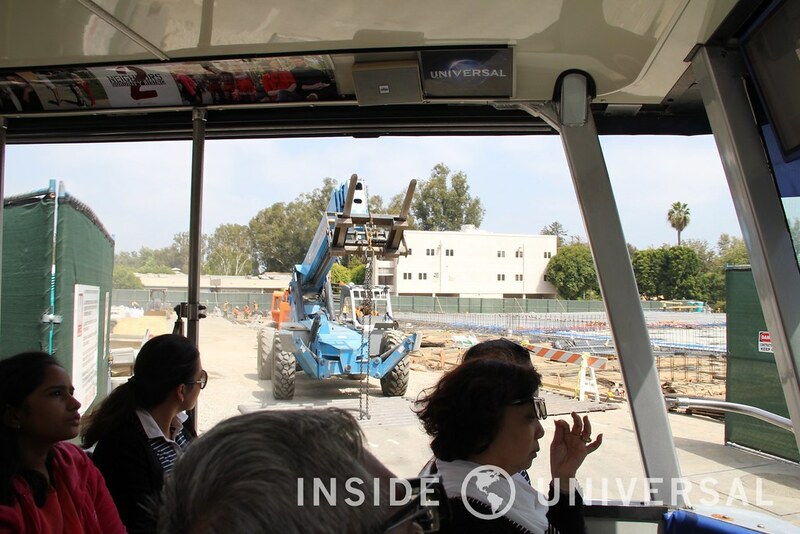 And then we’ll wrap up the update with a look at the progression of Universal’s efforts to modernize the backlot. 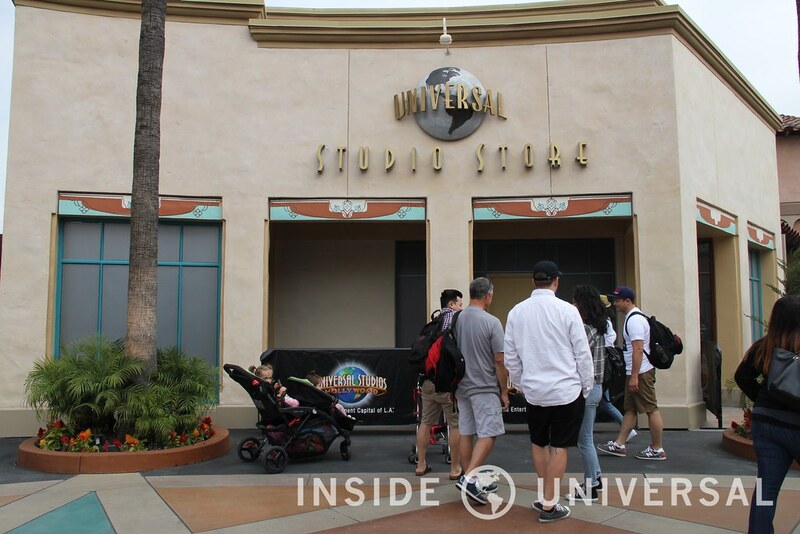 Let’s begin our tour of Universal City. 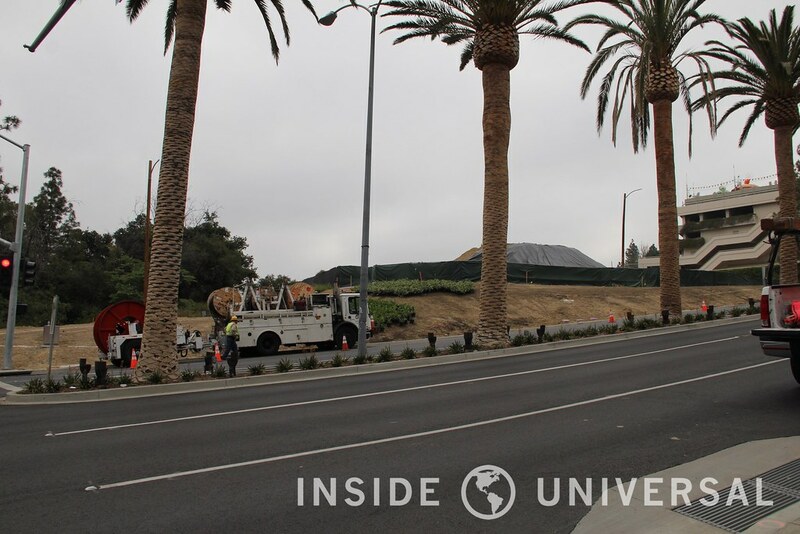 Universal has finally put the finishing touches on Universal Hollywood Drive, completing the roadway’s landscaping at the bottom of the hill. 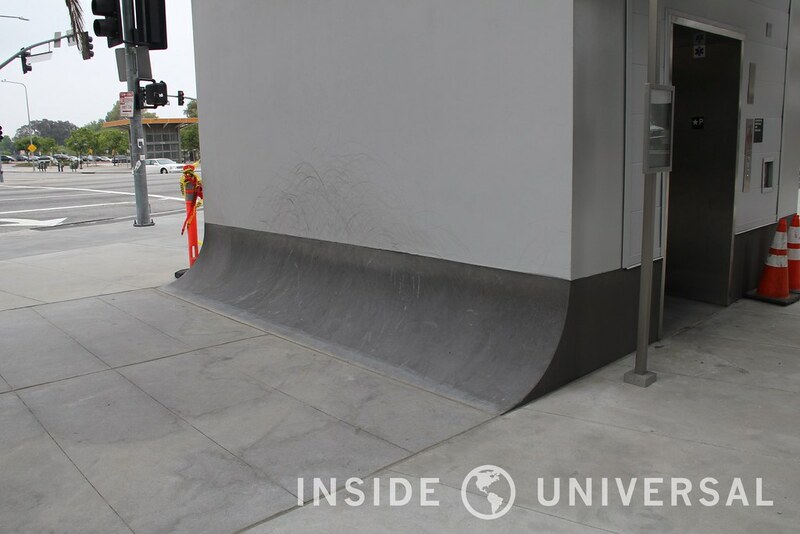 Unfortunately, it appears as if skateboarders have found a new hang out at the bottom of one of the elevator lifts, using the sidewall as a new ramp. 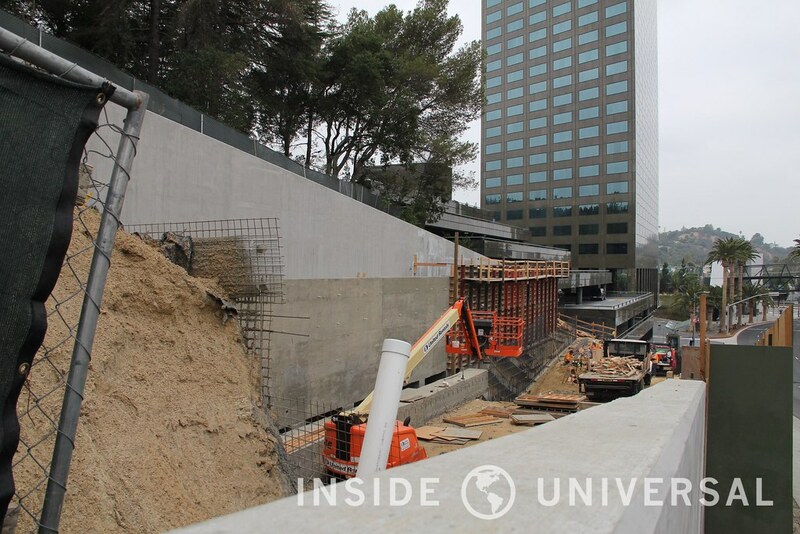 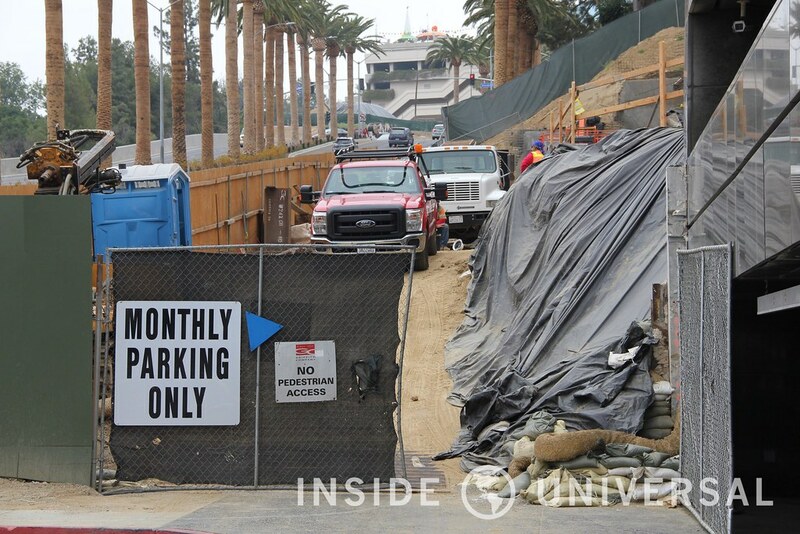 Construction also continues at a feverish pace to finish the tunnel going underneath Universal Hollywood Drive, which will connect 10 Universal City Plaza to the backlot. 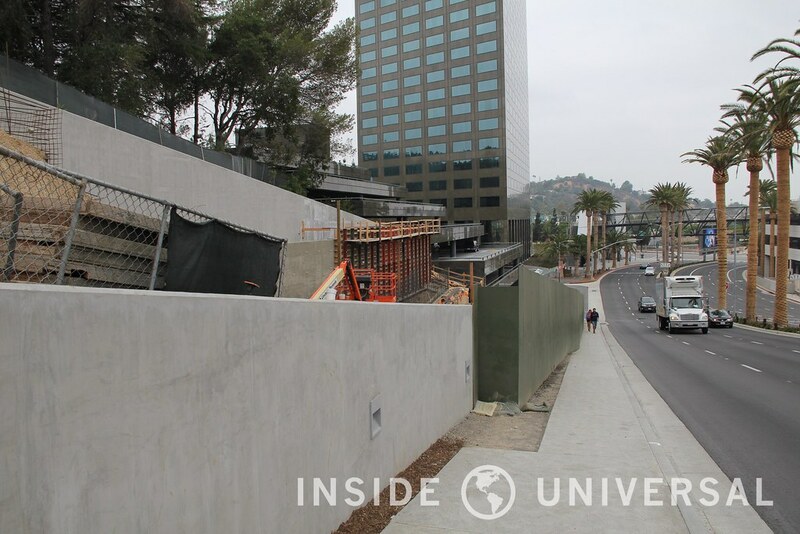 Moving up the hill, the former location of Fung Lum seems to finally be seeing some sort of movement, with some basic landscapinge. 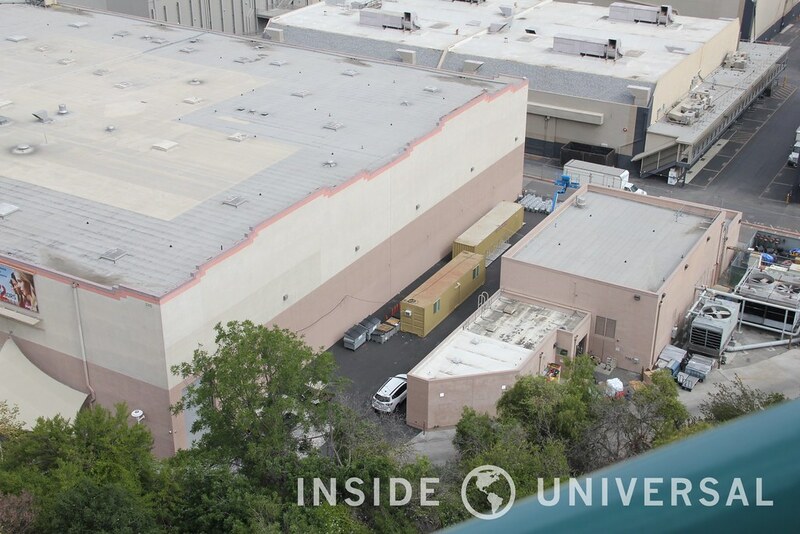 This location was one of the proposed spots for one of Universal’s new on-site hotels according to the NBCUniversal Evolution Plan. 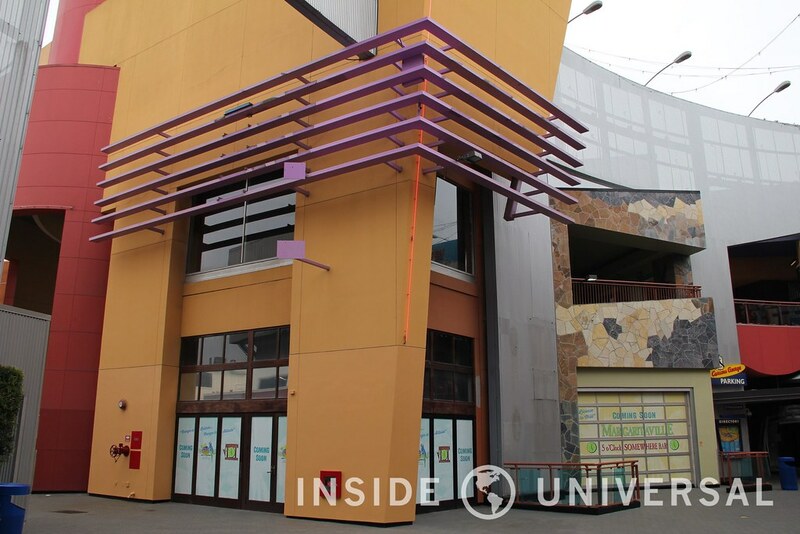 Moving further in, CityWalk Hollywood continues to revitalize its entertainment district. 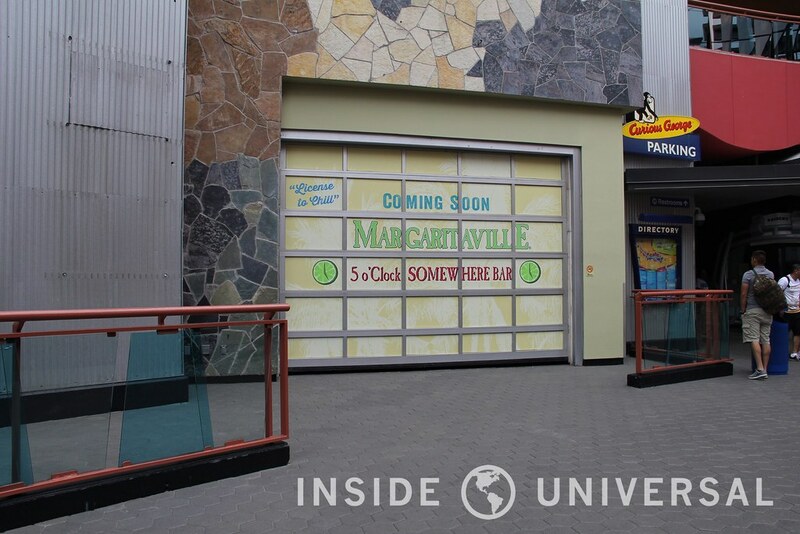 Work continues on Jillian’s Hi-Life as the venue prepares to become the new home of Jimmy Buffet’s Margaritaville. 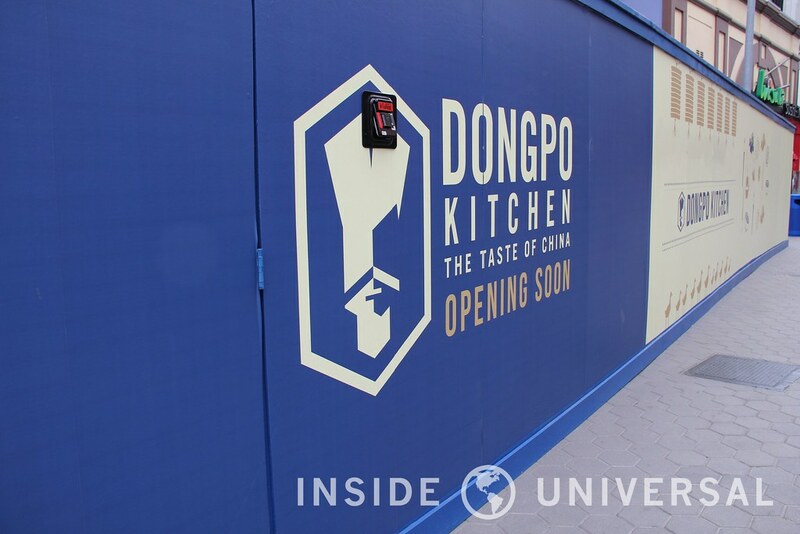 Moving along closer towards the theme park, the old Quicksilver location continues to sit dormant while construction crews work on Dongpo Kitchen’s new outdoor seating area. 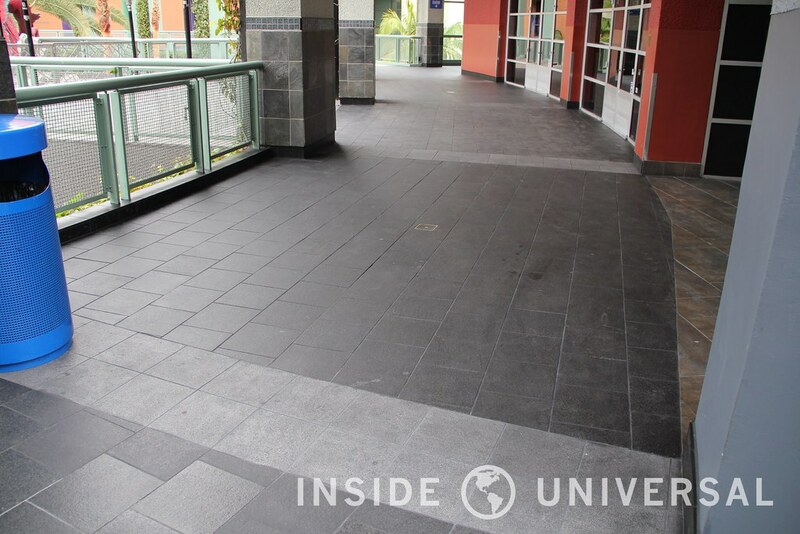 Finally, crews have completed installing new flooring around Infusion Lounge’s former location. 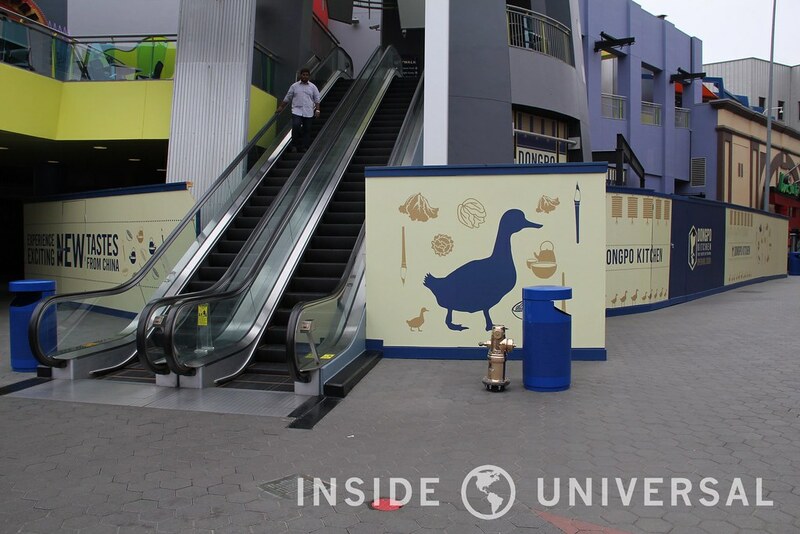 Moving just beyond the turnstiles of the park, the Universal Studio Store walls have come down and an interesting paint job has appeared. 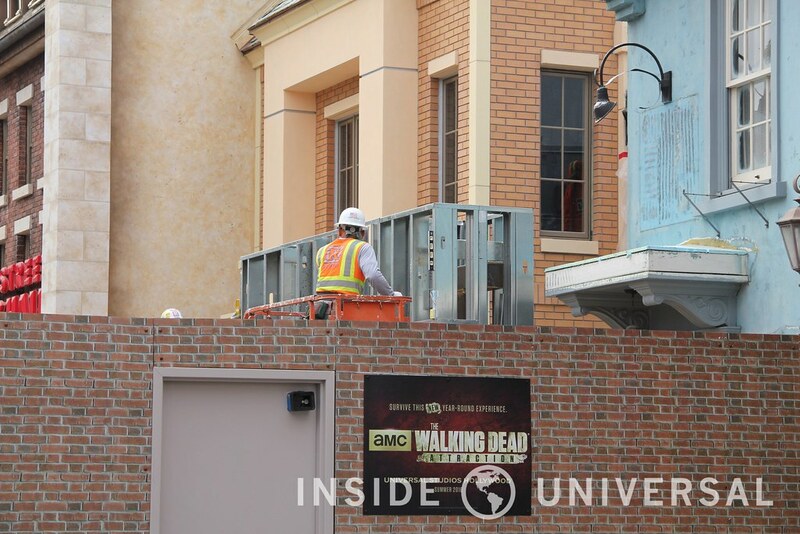 Will this be the exit for The Walking Dead Attraction? 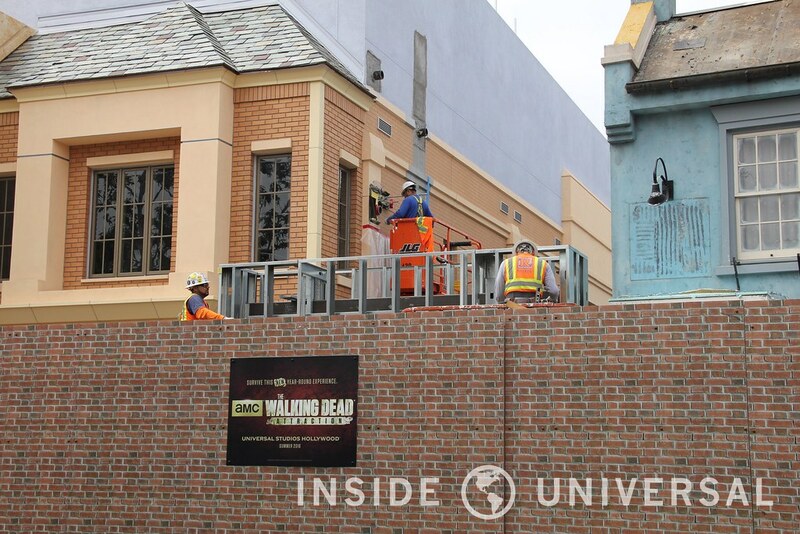 With The Walking Dead Attraction opening this summer, the attraction has finally begun to see some exterior work. 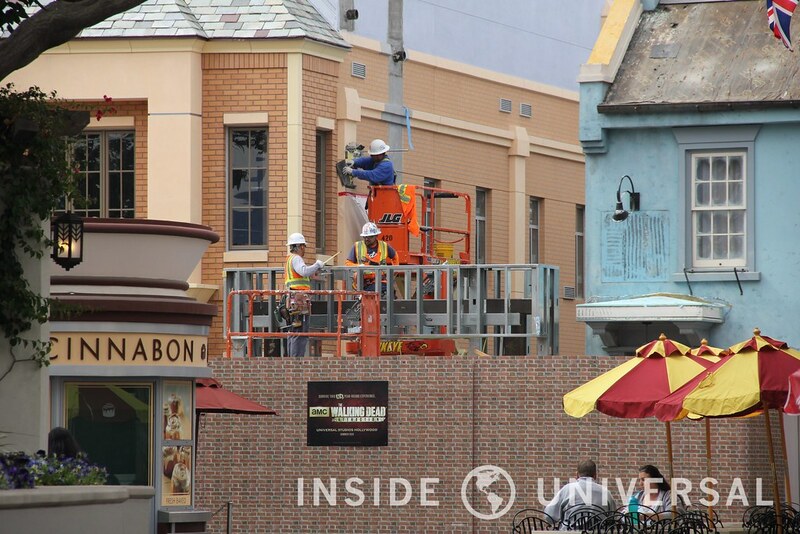 The attraction’s marquee is currently being installed, with mounts on the side of the structure that will hold a crashed helicopter. 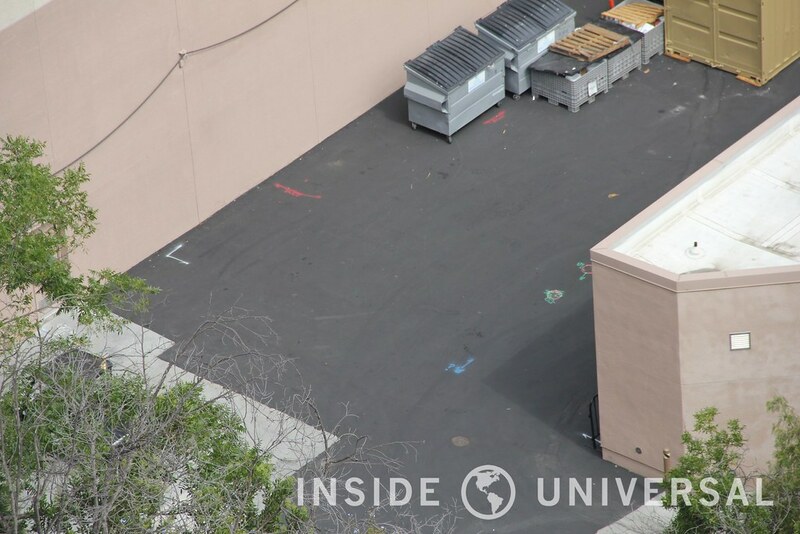 The roofing on the adjacent building is also getting some work done, which may be integrated with the helicopter crash site. 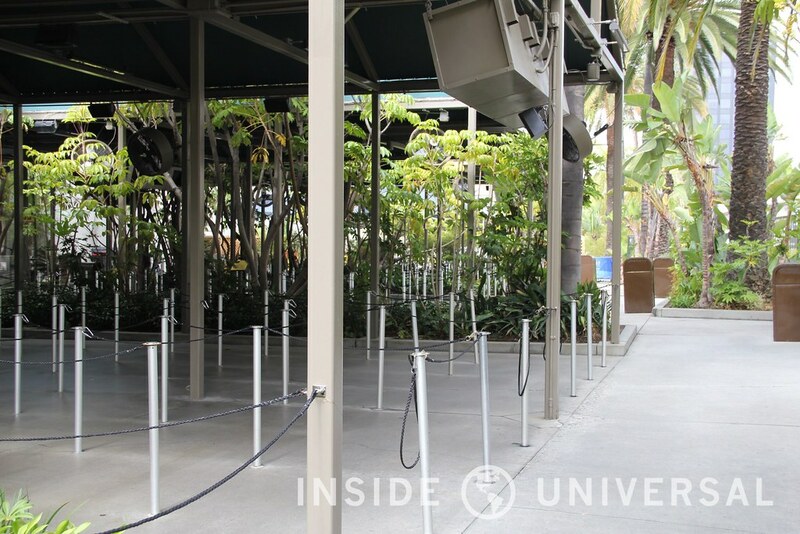 The extended queue for Revenge of the Mummy has received additional construction markers on the ground. 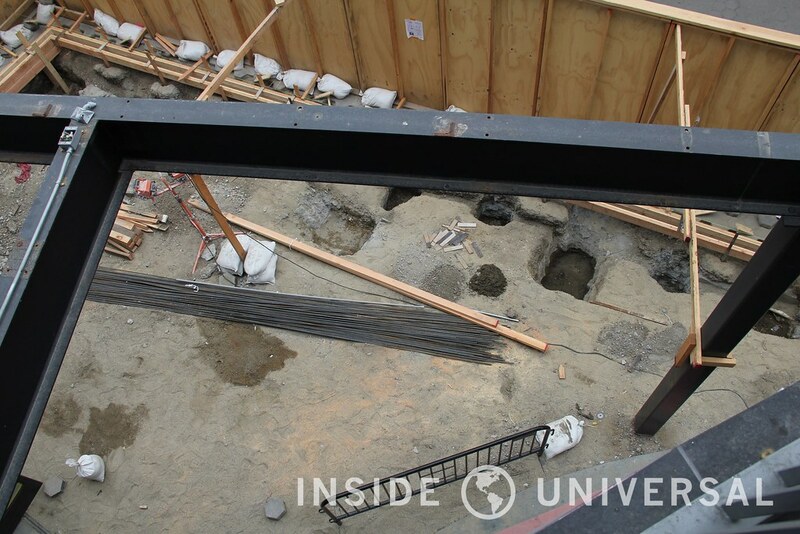 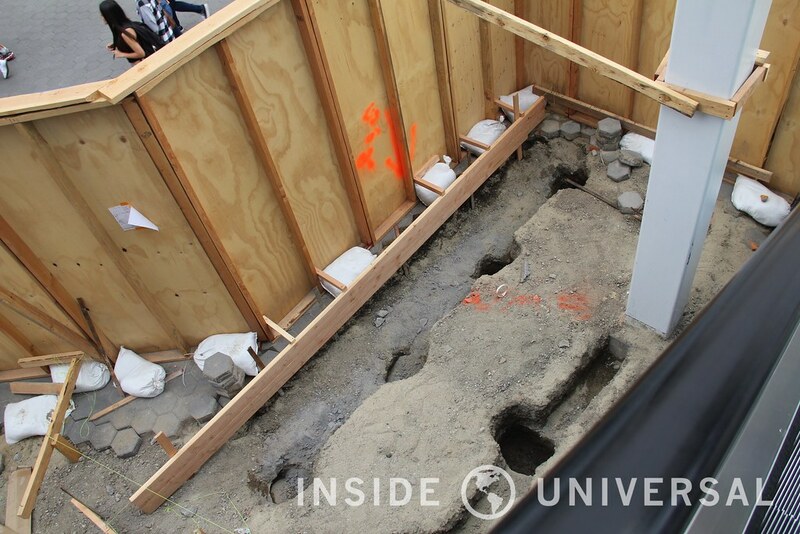 Just a few weeks ago, the extended queue for Revenge of the Mummy received a new surface as crews dug deep into the ground to perform underground work. 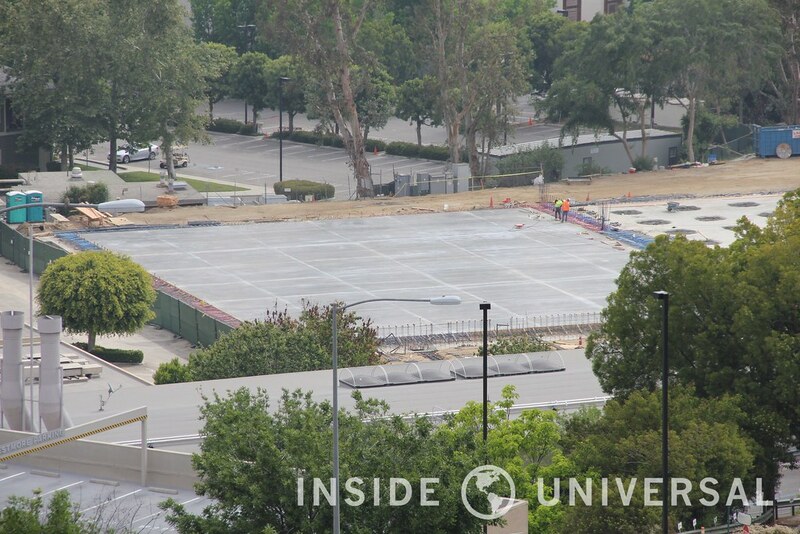 It appears as if additional work may come soon. 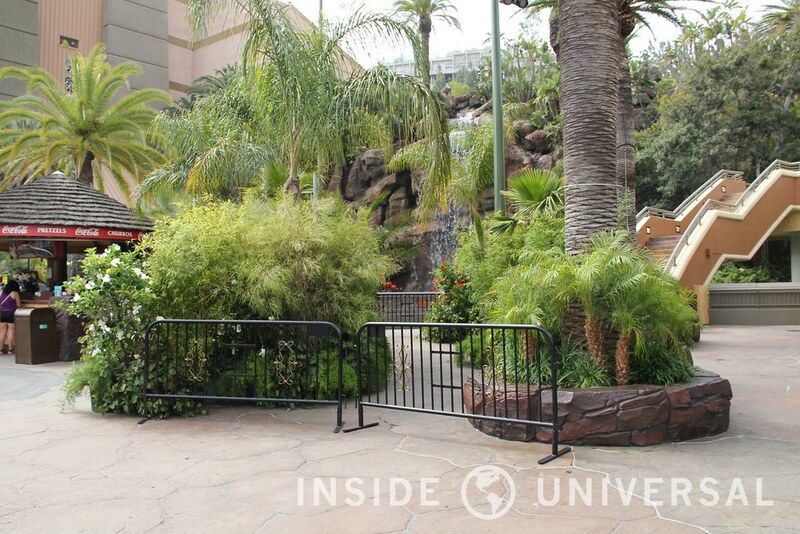 In somewhat uneventful news, new foliage has been inserted next to the splash down. 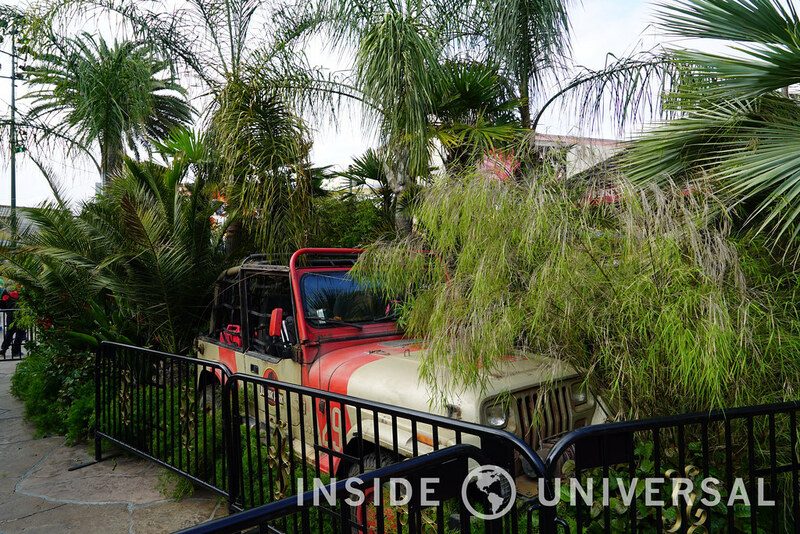 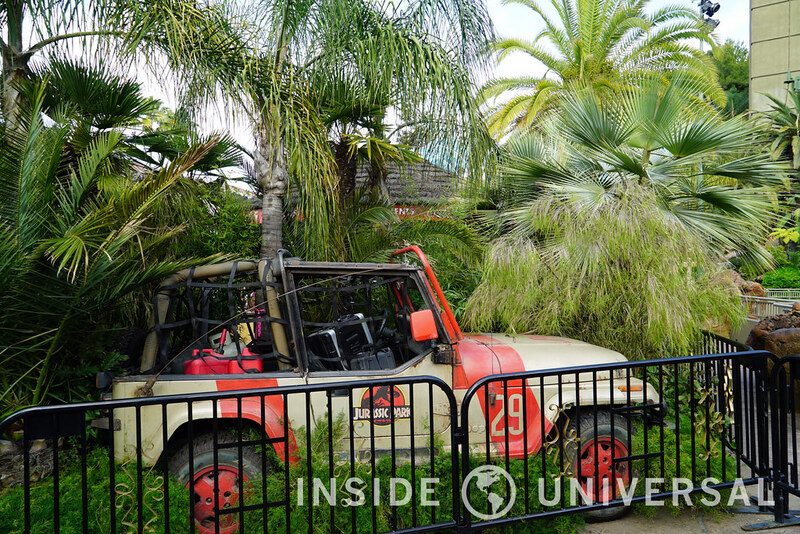 A Jurassic Park Jeep has been placed behind the foliage in what appears to be an up-and-coming photo opportunity for guests. 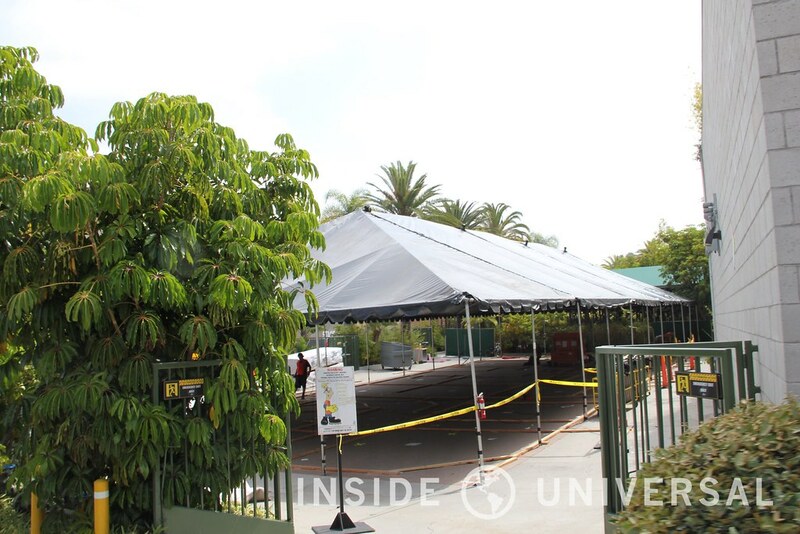 The first sign of Halloween Horror Nights construction has begun in the Jurassic Park extended queue. 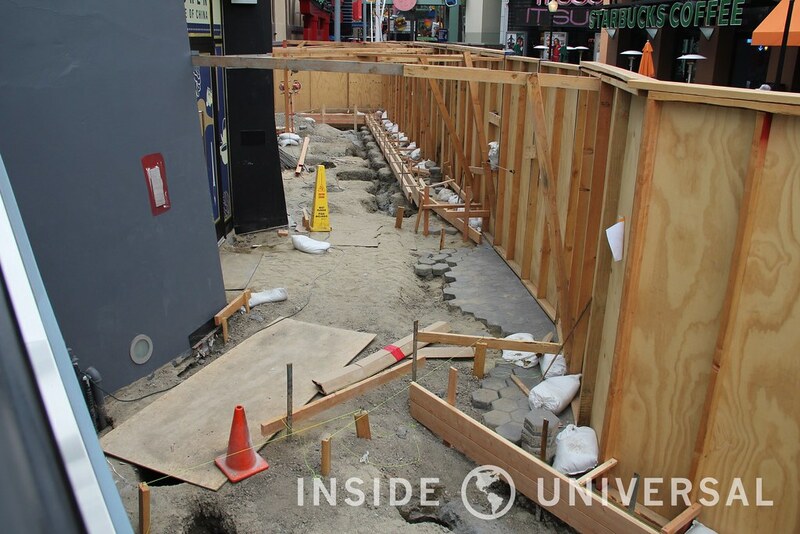 As of this update, the only maze that has been formerly announced as been The Exorcist. 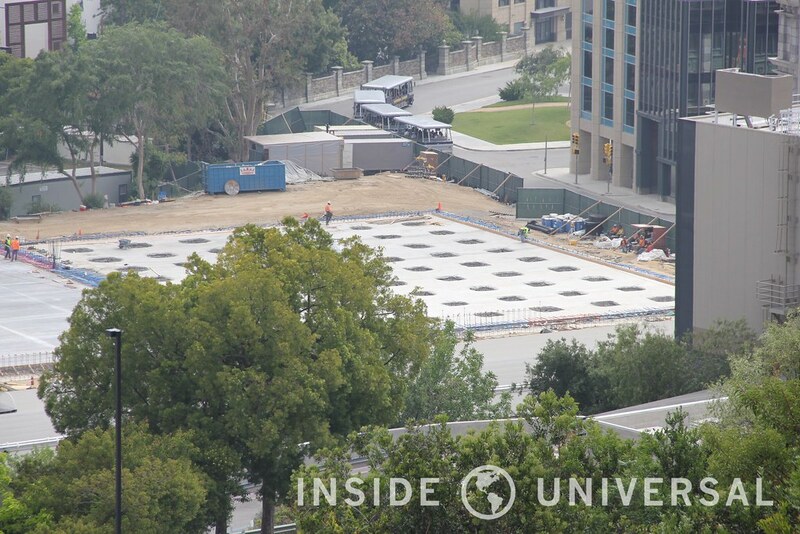 In the coming weeks, more maze construction should soon pop up. 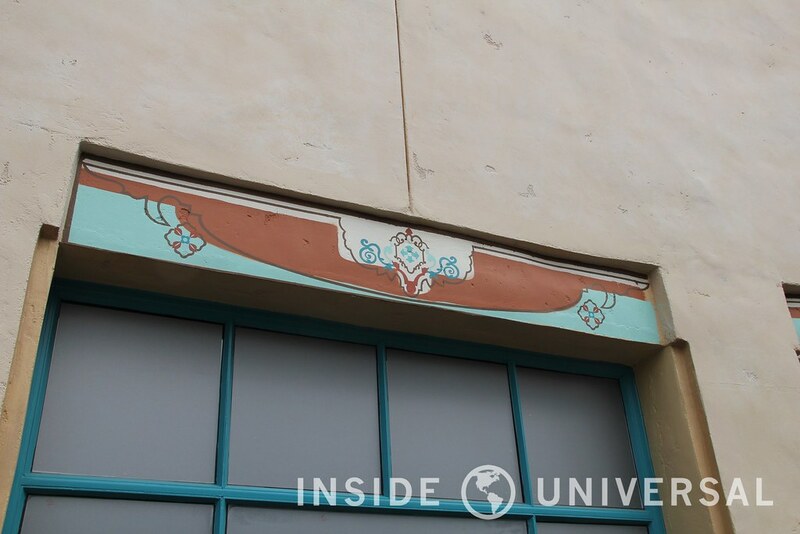 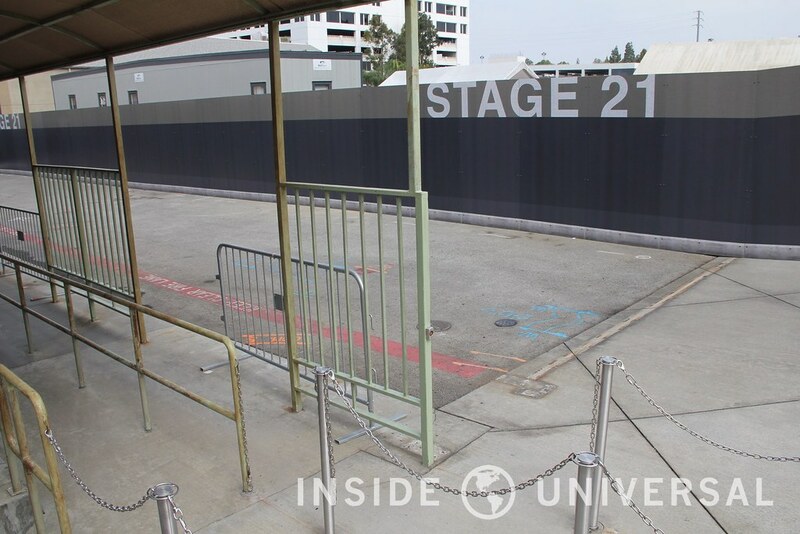 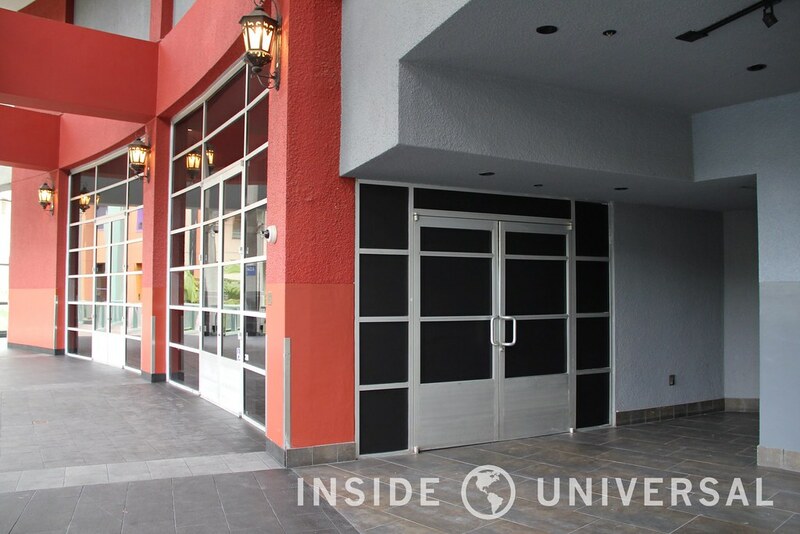 Earlier this week, John Murdy – Universal’s Creative Director – noted that he lost two locations that he once previously used – specifically Soundstage 28 alongside an unspecified location. 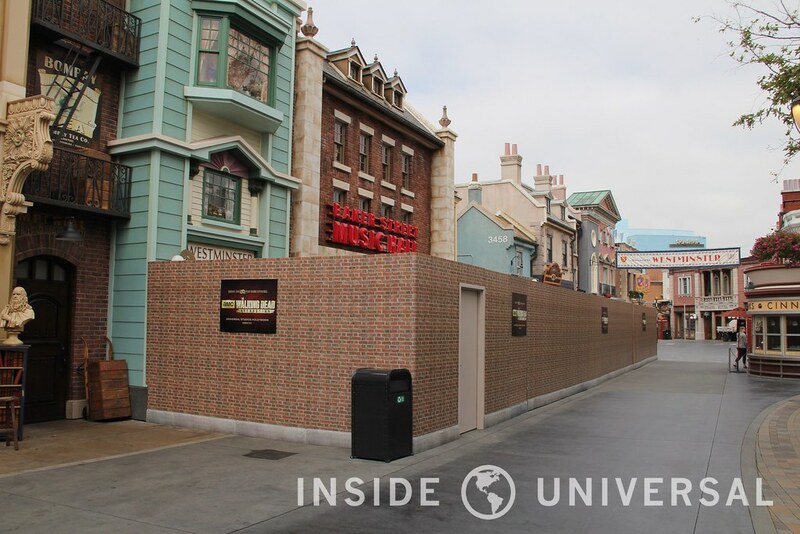 Over the last week, construction crews installed walls around the former location of Soundstage 28. 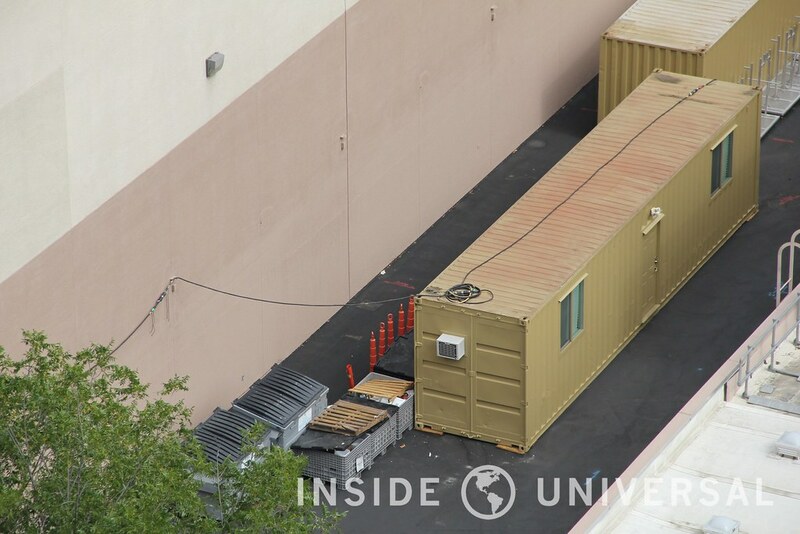 The back half of the Transformers extended queue has been removed and construction trailers are now in its place. 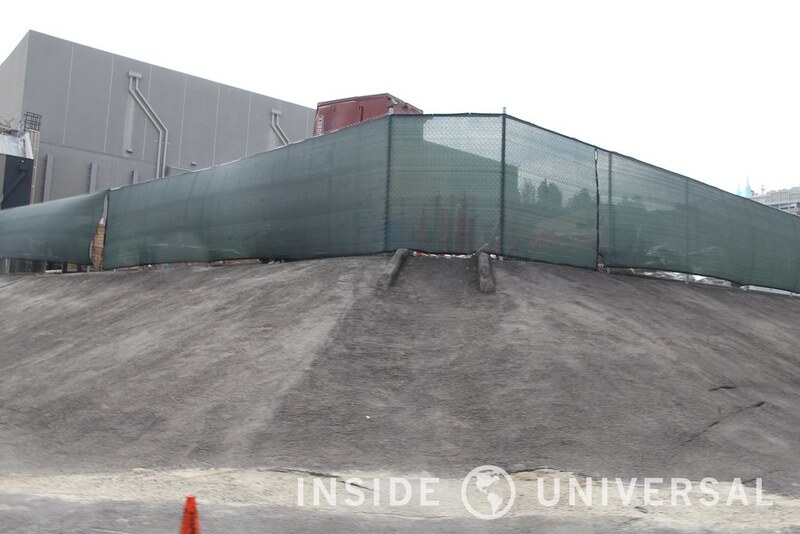 With the construction trailers on location and the construction walls up, work should begin somewhat soon on the Secret Life of Pets attraction. 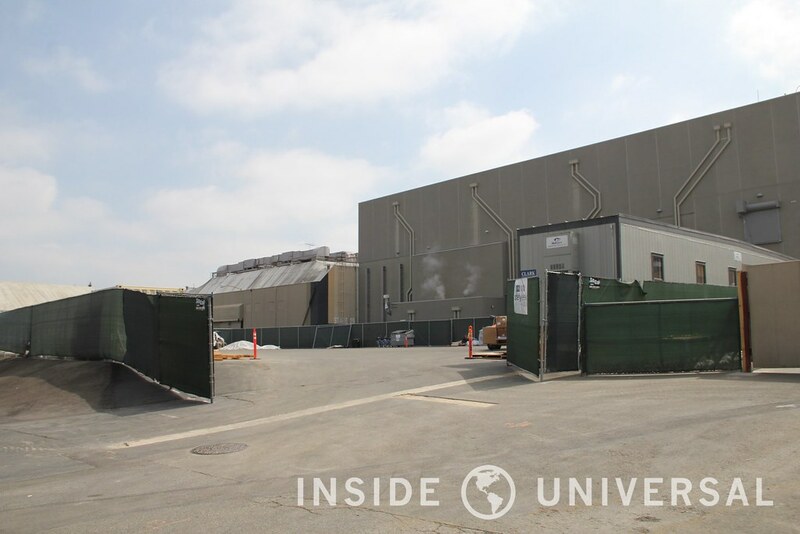 As we come to our final portion for this photo update, we take you to the backlot where work continues to progress on new soundstages that are being built next to the Metropolitan sets. 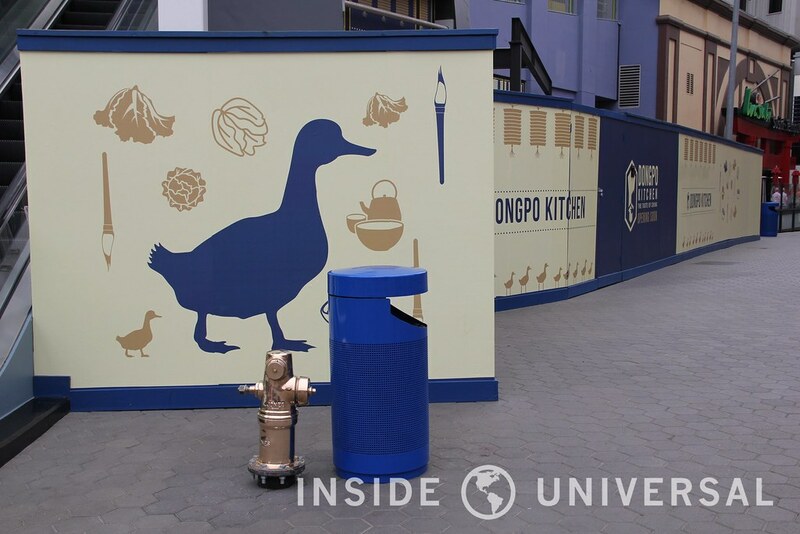 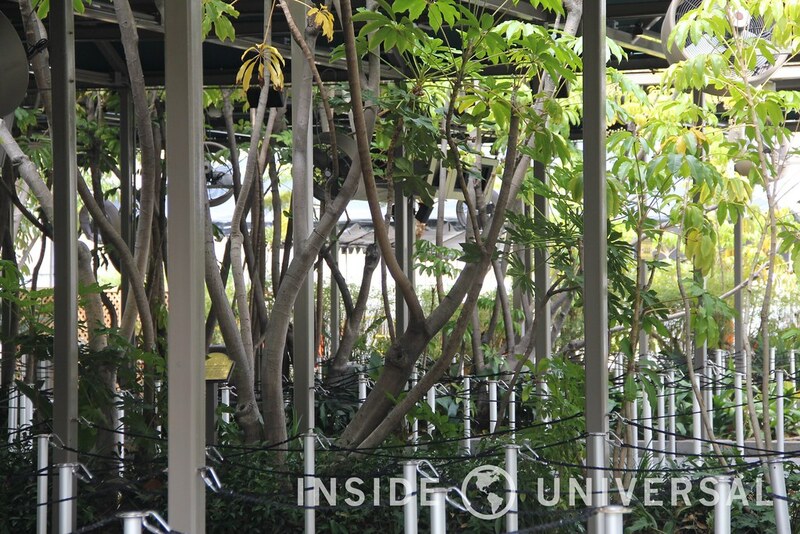 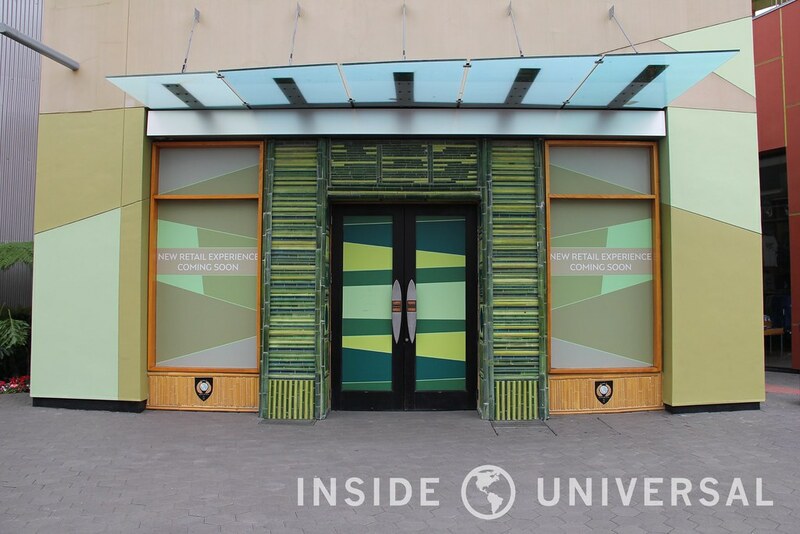 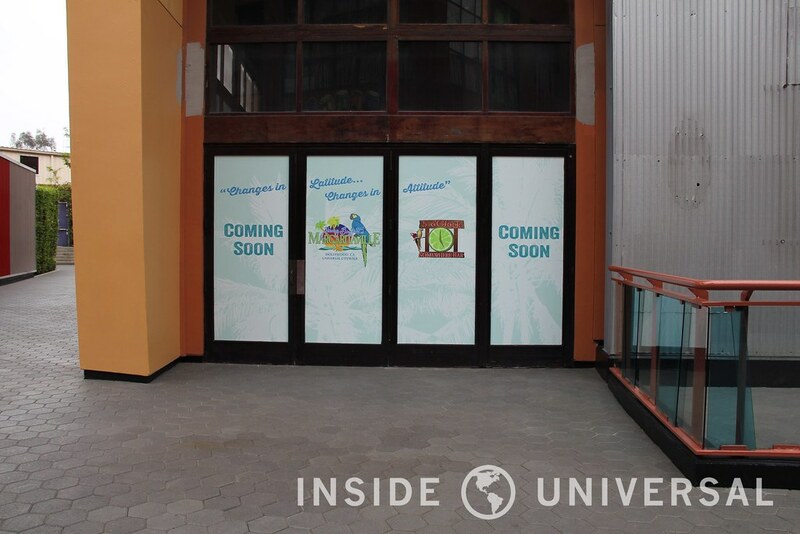 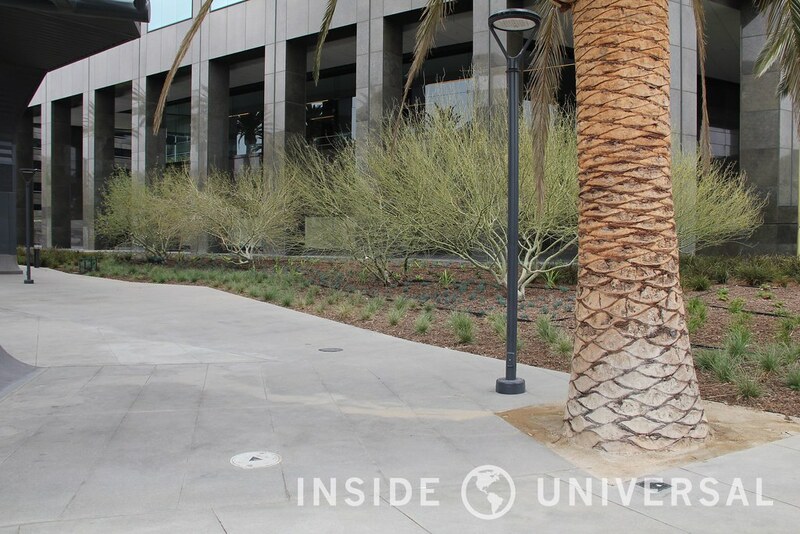 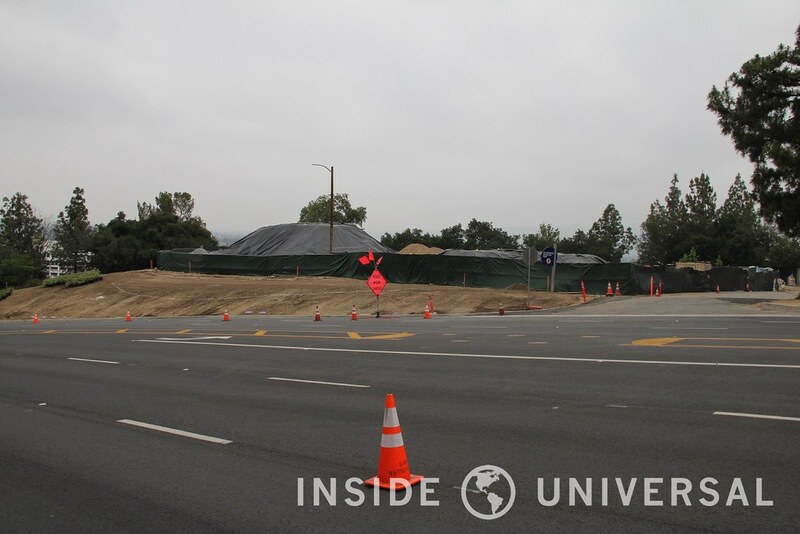 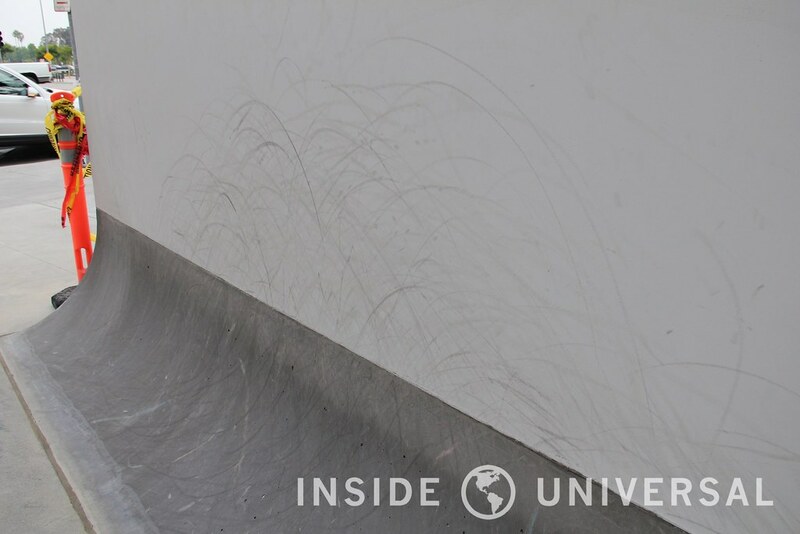 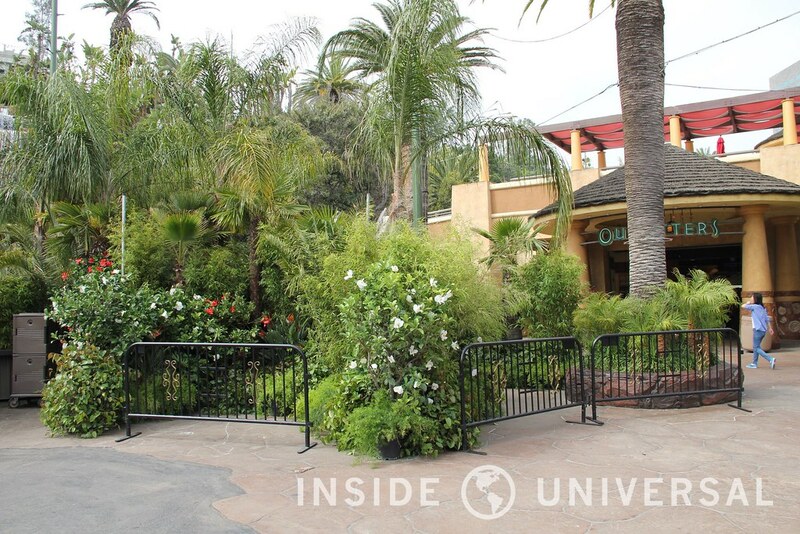 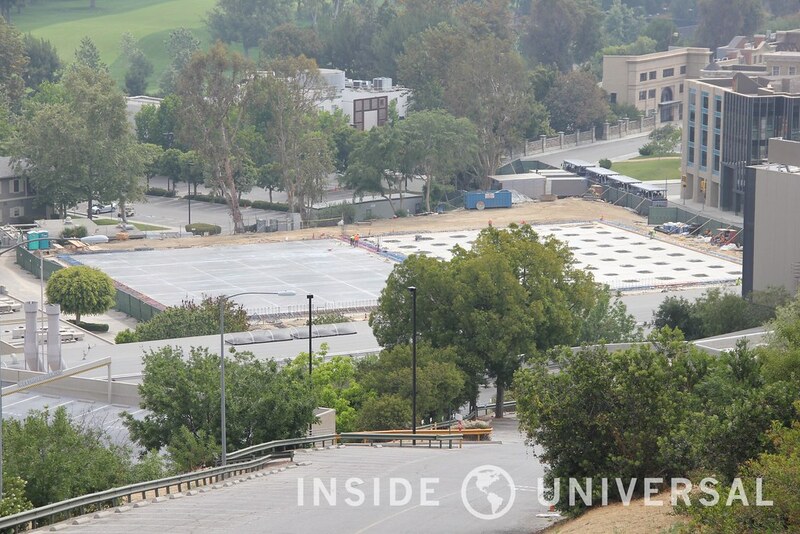 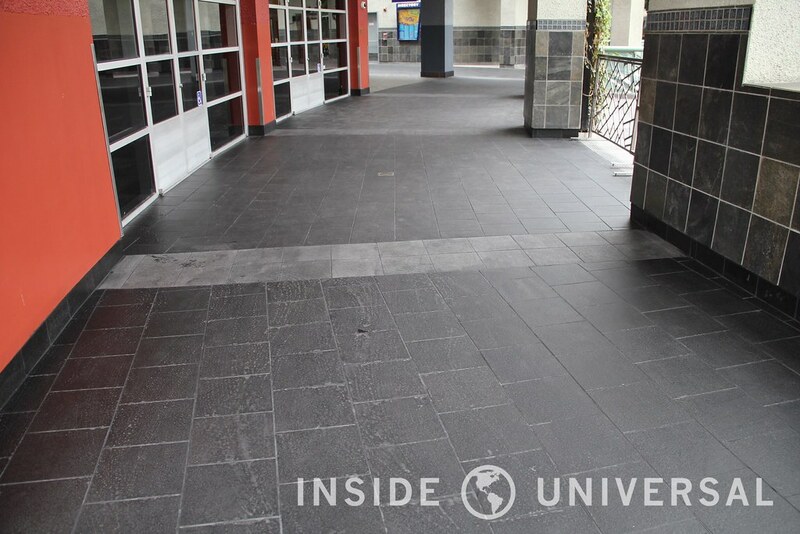 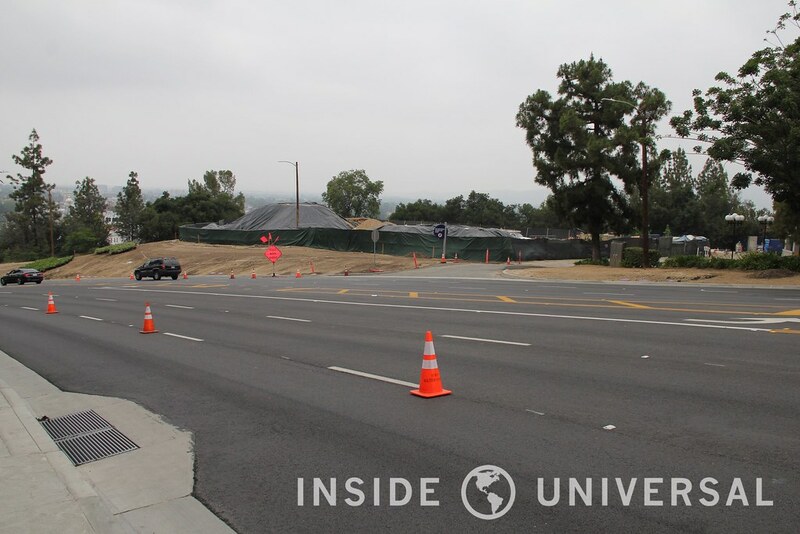 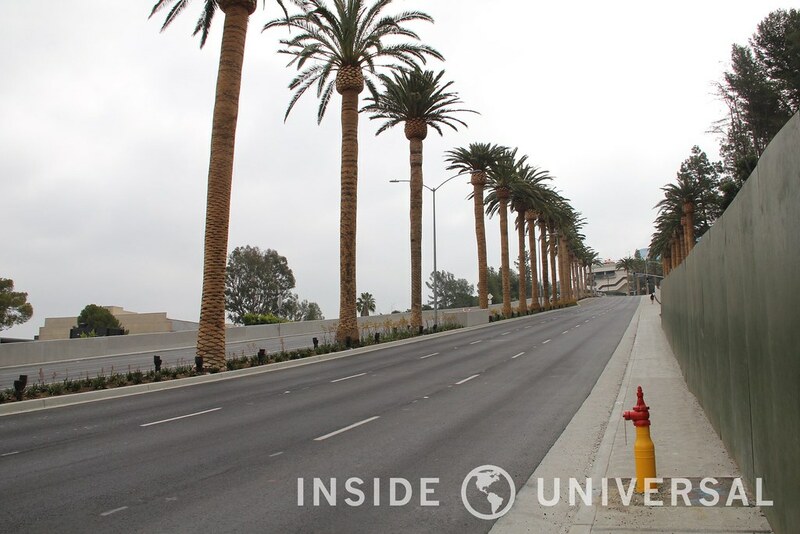 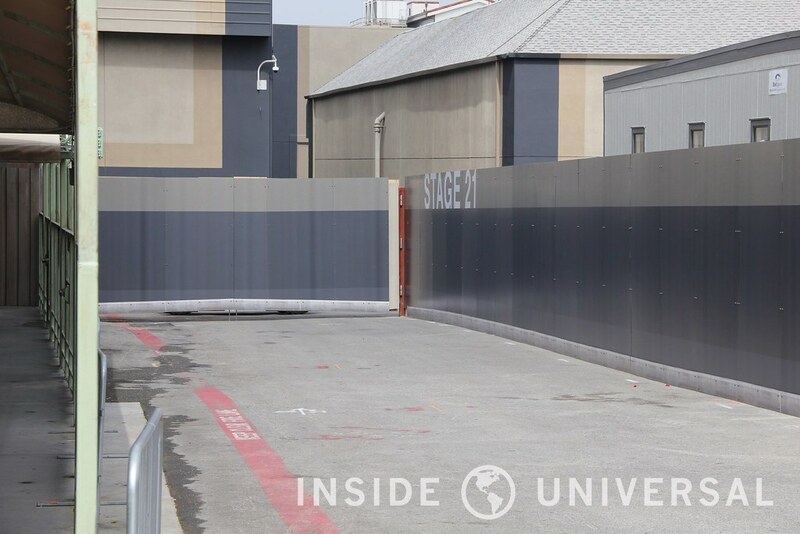 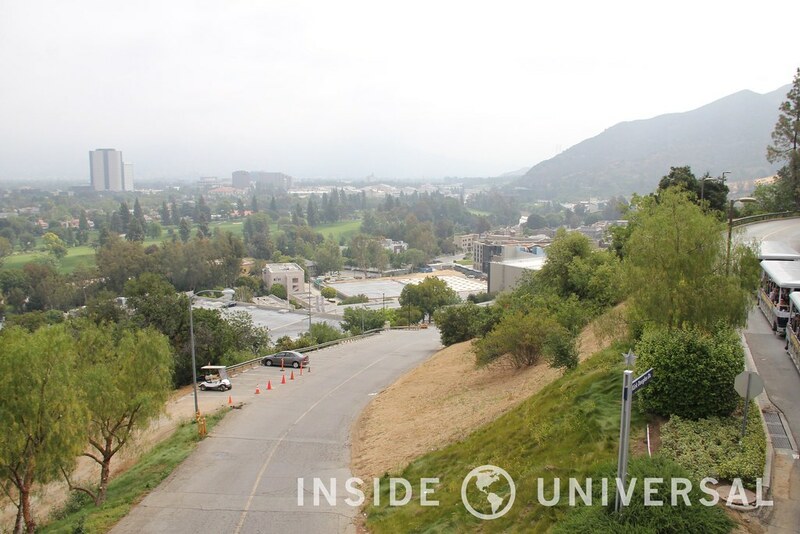 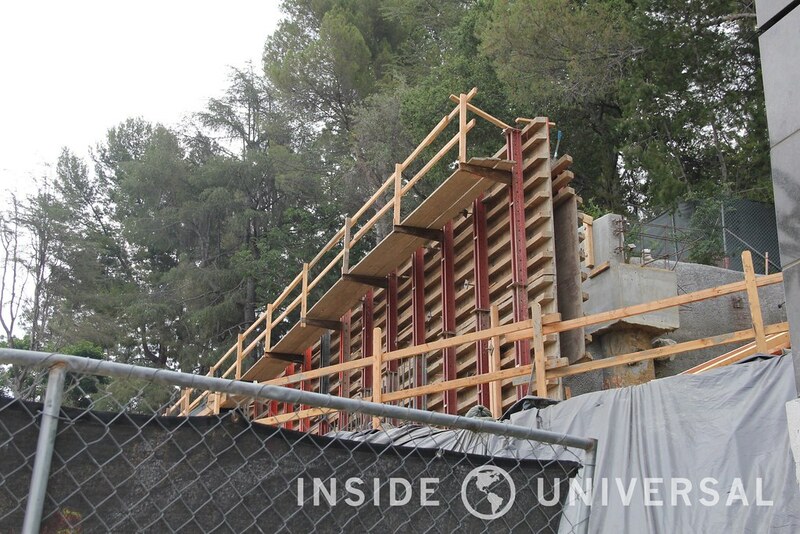 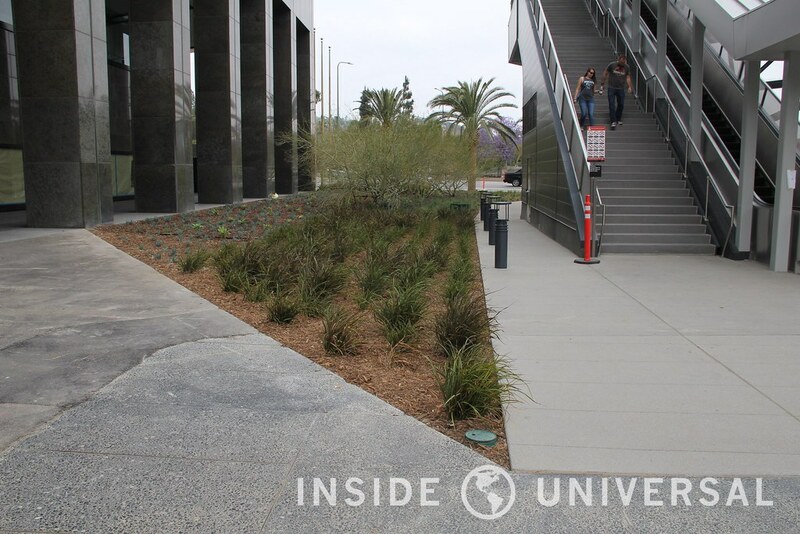 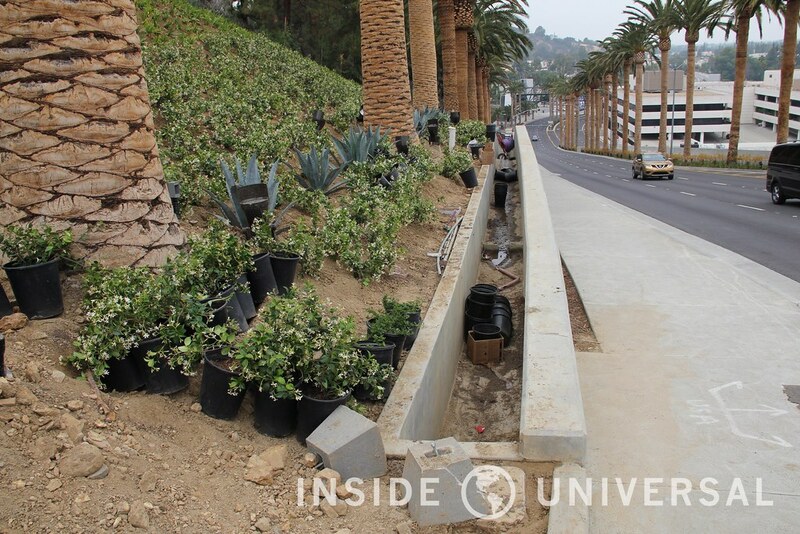 As Universal continues to work on numerous projects across the property, please continue to follow Inside Universal for the most up-to-date coverage of all things Universal Studios Hollywood. 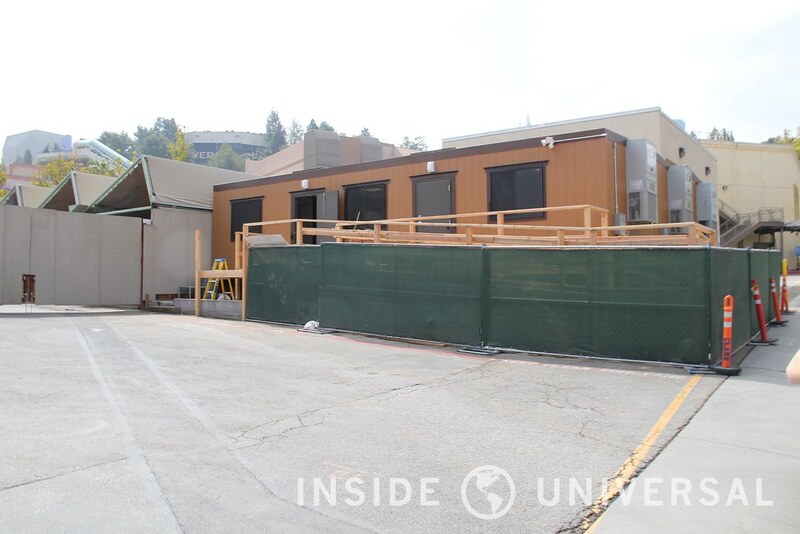 Thanks for reading this update, and be sure to follow us on Twitter, Facebook and Instagram and hit up the discussions currently occurring over at USHForums.com. 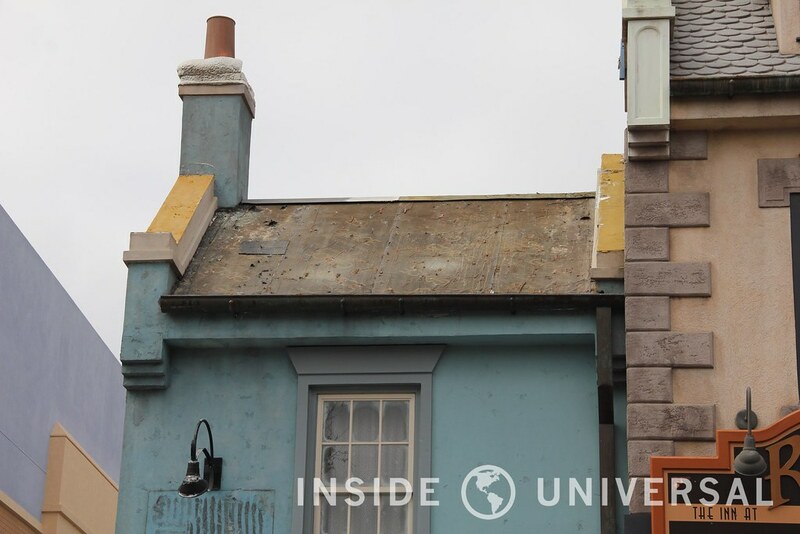 Be sure to comment below if you have a question or suggestion, and we’ll see you in the next update!